This is a chic and simple sheath dress with beads embellishing the bodice. 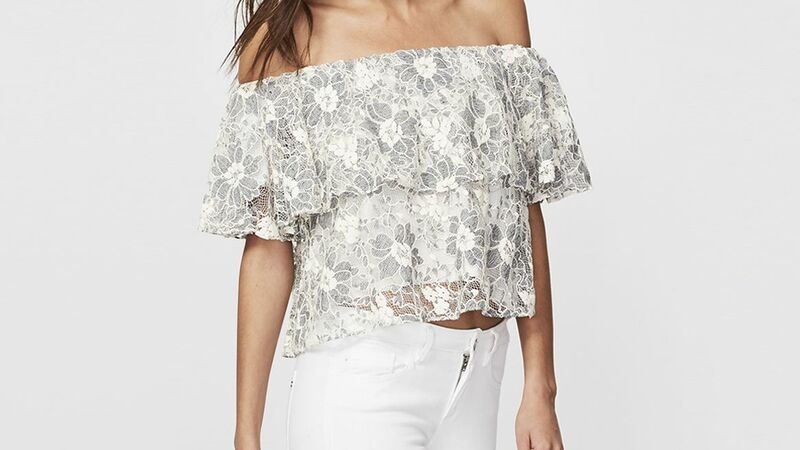 The lace is stretchy to fit any kind of body type. Flattering ruffles cascade with flowing coverage on this ultra-elegant surplice plus size gown from Adrianna Papell.